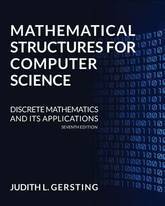 The new edition of Mathematical Structures for Computer Science continues to offer a pedagogically rich and intuitive introduction to discrete mathematics structures. It meets the needs of computer science majors by being both comprehensive and accessible. Relevant applications are balanced alongside clear presentation of concepts to help students better understand this text, which has been popular amongst professors and their classes for almost twenty-five years. Discover a contemporary overview of today's computer science with the best-selling INVITATION TO COMPUTER SCIENCE, 7E. This flexible, non-language-specific approach provides a solid foundation using an algorithm-driven approach that's ideal for the reader's first introduction to the field of Computer Science. Expanded chapter exercises and practice problems, feature boxes, and the latest material on emerging topics, such as privacy, drones, cloud computing, and net neutrality, connect readers with today's most current computing issues. Optional online language modules for C++, Java, Python, C#, and Ada, correspond seamlessly with this edition allowing readers to learn a programming language while expanding their understanding of concepts from the book. An optional online CourseMate (TM) offers helpful study tools, such as flashcards, quizzing, and games, as well as a new Digital Lab Manual containing 20 laboratory projects that map directly to the book. Strong visual and hands-on activities enable readers to master as well as experience the fundamentals of today's computer science. 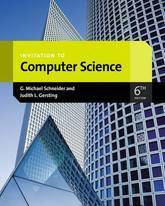 INVITATION TO COMPUTER SCIENCE, 6E, International Edition is a well-respected text that provides an overview of the computer science field. 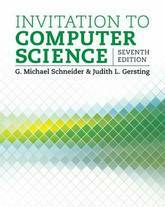 Using a flexible, non-language specific model, INVITATION TO COMPUTER SCIENCE, 6E, International Edition offers a solid foundation for the first course in a Computer Science curriculum. 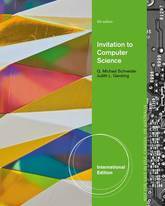 INVITATION TO COMPUTER SCIENCE, 6E, International Edition maintains its bestselling, algorithm-driven approach and includes expanded chapter exercises and practice problems, as well as new boxes dedicated to mobile applications and current issues throughout. Online language modules are available in C++, Java, Python, C#, and Ada, allowing the option of incorporating a programming language to expand concepts from the text. INVITATION TO COMPUTER SCIENCE, 6E, International Edition offers an optional CourseMate with study tools such as flashcards, quizzing, and games. CourseMate Activities speak to and engage students while developing abstract thinking and problem solving skills. Also available with INVITATION TO COMPUTER SCIENCE, 6E, International Edition, an optional Lab Manual containing 20 laboratory projects that map directly to the main text. The Lab Manual and accompanying software provide both visual and hands-on activities, allowing students to experience the fundamentals of computer science. 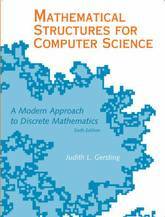 Mathematical Structures for Computer Science, written by Judith L. Gersting, is a vital textbook for computer science undergraduate students, which helps to introduce readers to the maths behind computing. This textbook has long been much loved and acclaimed for its clear, concise presentation of essential concepts and its exceptional range of applications relevant to computer science majors. 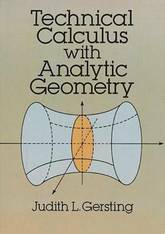 This new edition made the textbook the first discrete mathematics textbook to be revised in order to meet the proposed new ACM/IEEE standards of the course. It features new material, including new sections on probability, coding theory, matrices and order of magnitude. It also includes roughly 30% more exercises and examples, further aiding students' learning of this complex subject underpinning the field of computing. A Java version of the authors' best-selling introduction to the field of computer science. This text provides a breadth-first overview of the central topics studied in the field: algorithms, hardware design, computer organization, system software, language models, programming, compilation, theory of computation, applications, networks, artificial intelligence, and the impact of computers on society. The authors present these topics in the context of the big picture, using a six-layer hierarchy of abstractions. The hierarchy is based on the algorithmic foundations of computer science and works upward from low-level hardware concepts through virtual machine environments, languages, software, and applications programs to the social issues raised by computer technology. Each layer in the hierarchy builds on ideas and concepts presented earlier.  An accompanying lab manual provides exploratory lab activities. For this Java Version, Chapters 7 (Introduction to High-Level Language Programming) and 8 (The Tower of Babel) have been thoroughly revised to incorporate Java 2 as the programming language of implementation.